“We all have a superhero inside us, it just takes a bit of magic to bring it out.” From director David F. Sandberg, who previously made the critically acclaimed films “Lights Out” (2016) and “Annabelle: Creation” (2017); writer Henry Gayden; and producer Peter Safran, founder of The Safran Company, comes “Shazam!” (2019), the seventh installment of films based on D.C. Comics character under the Warner Brothers banner. The concept of “Shazam!” (2019) seems odd and an overall idiotic idea for a film, but thanks to some incredible direction by David F. Sandberg, along with funny and deeply felt writing by Henry Gayden, “Shazam!” (2019) is an absolutely fantastic superhero film and one that deserves the exclamation point in its title. The film is filled with a lot of heart, horror and humor. Sandberg uses his roots in horror films to bring forth a menacing and terrifying villain in the form of Dr. Thaddeus Sivana, played by Mark Strong, while also still proving that he has a lot of range by delivering an astonishingly funny film. One of the most well-executed parts of “Shazam!” (2019) comes in the form of Henry Gayden’s impressive script. Gayden really makes the audience feel for Billy by channeling the themes of belonging and family in a way that is both emotional and touching. 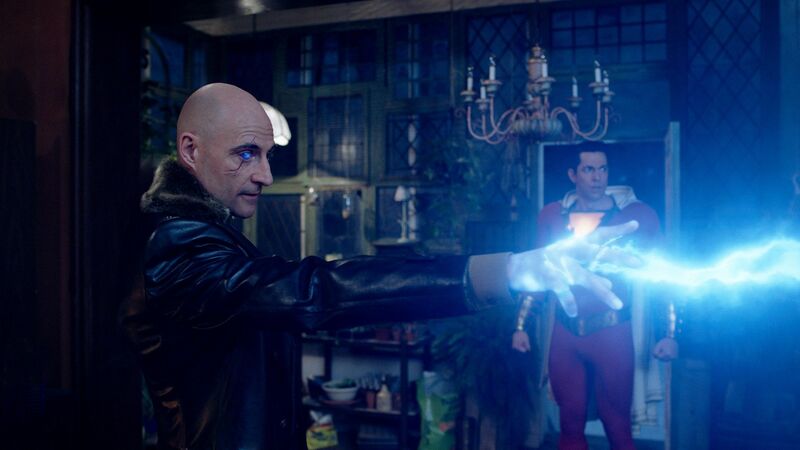 The greatest part of “Shazam!” (2019) is how funny it is. Superhero movies have become mostly dark and serious. This film is light, while still having depth. Zachary Levi and Jack Dylan Grazer (both pictured above) are hysterical. 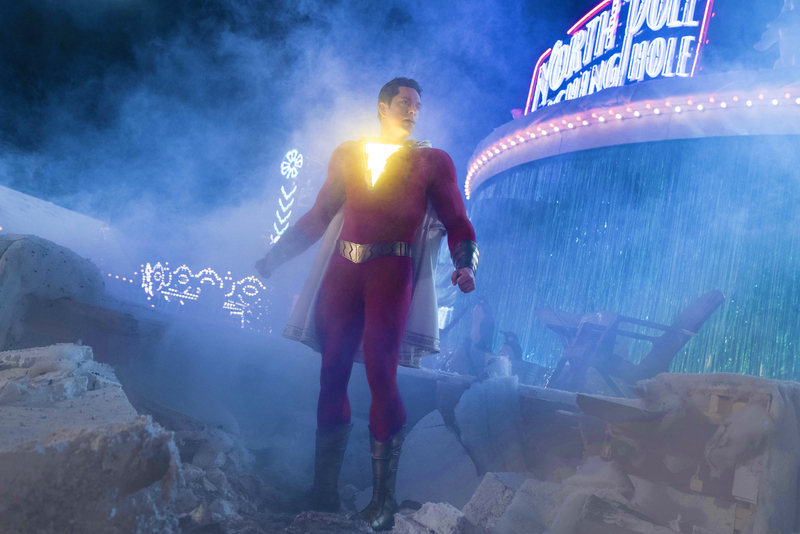 Zachary Levi elevates “Shazam!” (2019) from being just another comic-book derived film to one that is outstanding. Levi, who is meant to be a teenager who can turn into a warrior with the abilities of Superman, perfectly captures the child-like wonder and excitement of a boy transformed into a man. Mark Strong, as mentioned before, gives an incredible performance as Dr. Thaddeus Sivana and brings a lot of life to a character that is a pretty generic comic book villain. There’s not a weak performance by anyone in the cast serious and together, they carry this film to the finish line. 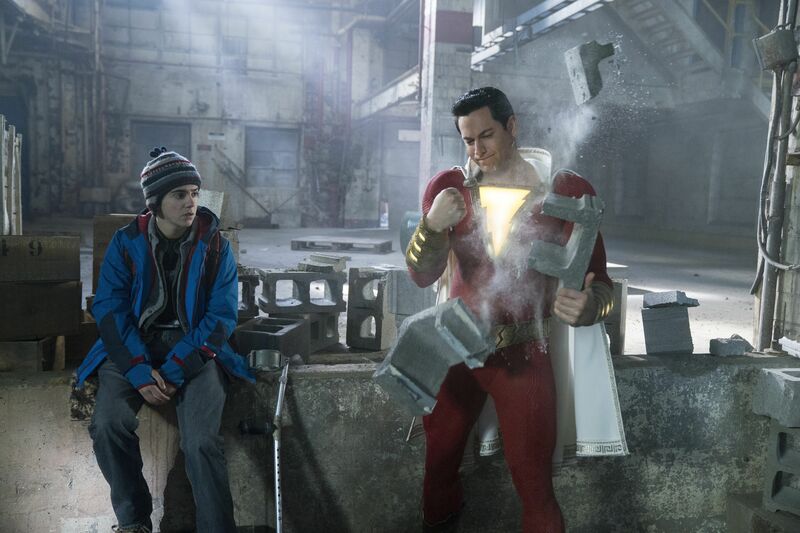 While “Shazam!” (2019) has a lot of positives going for it, there are still a few problems with the film. Above all, the production feels somewhat cheap, like they made the film with a super small budget. The special effects can be pretty bad, to the level of being so noticeable that they stop the viewer from being totally absorbed by the movie. Furthermore, the set design is, at times, also of low quality. To be fair, “Shazam!” (2019) had a budget of $100 million, which, while being a massive number for most films, is a rather small one in the world of superhero blockbusters. Also, “Shazam!” (2019) feels a little too childish. The film tries to appeal to teenagers and adults, and while it mostly prevails in this endeavor, there are times where it plays like a film that should only have a “Parental Guidance” (PG) rating, rather than the “PG-13” one it has. 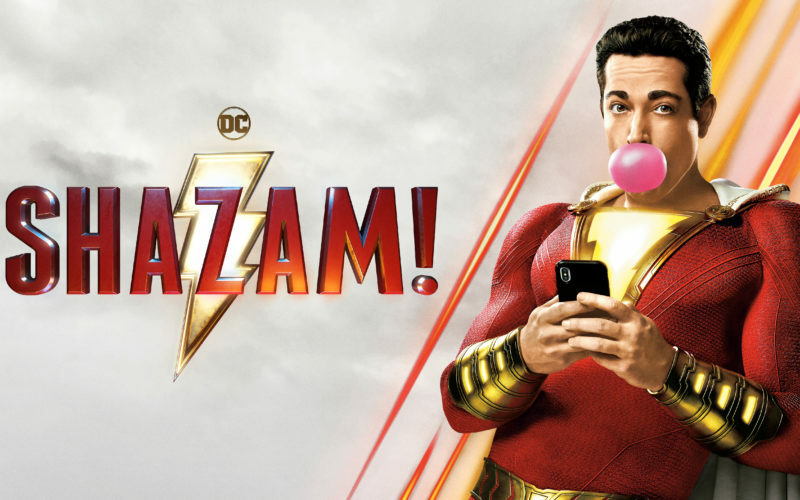 Since it’s April 5, 2019 release, “Shazam!” (2019) has been incredibly well received by critics and casual moviegoers alike. The film received a 91% from Rotten Tomatoes; 73% from Metacritic; and an “A” Cinemascore. 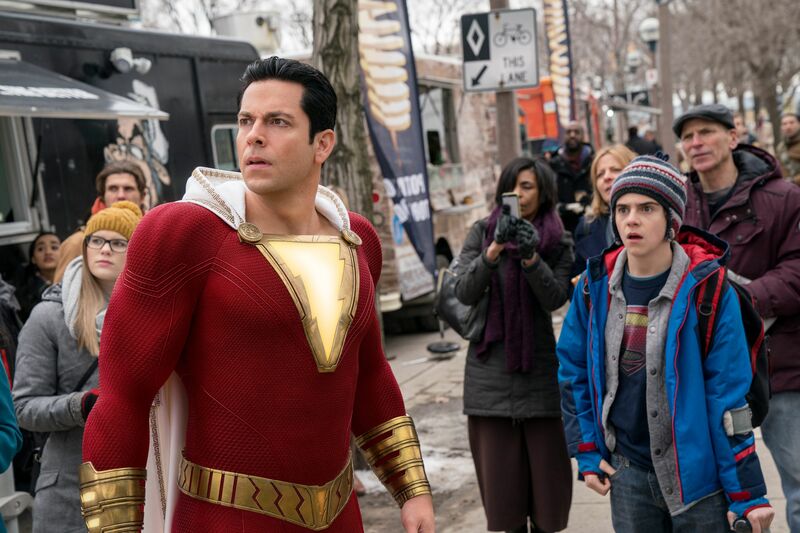 Despite its exceptional reviews, “Shazam!” (2019) made a controversial amount of money in its opening weekend. The film brought in only $56.7 million at the domestic box office. While that is a great figure for a film made on a $100 million production budget, it is also the lowest opening weekend of any film associated with the current D.C. Films cinematic universe. 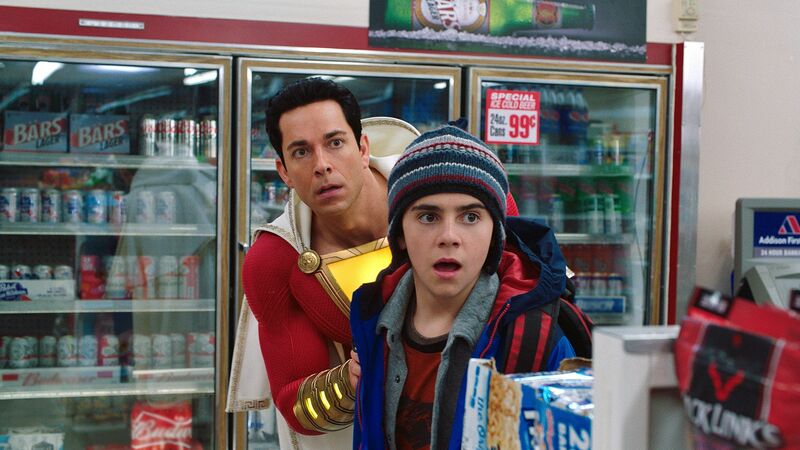 When all is said and done, “Shazam!” (2019) is a great D.C. Comics adaptation and one that will be appealing to younger audiences. My rating for the film comes down to 70%. Star Zachary Levi and director David F. Sandberg have shown off their respective talents and have made a welcomed and absolutely hilarious addition to the superhero canon.